Make your own jar cozy or order one from WormeWoole here. 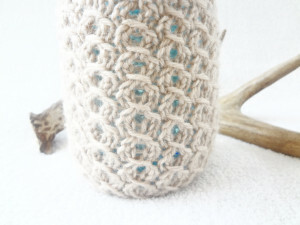 This cozy is the perfect accent for a boho or shabby wedding centerpiece, or makes a great cottage decor vase or pen holder for your home office. And with Mother’s Day around the corner, it would be a sweet gift, whether you make it yourself or not. Fill the jar with flowers, candy, a gift card, or whatever she likes and present it to your mom or special auntie. 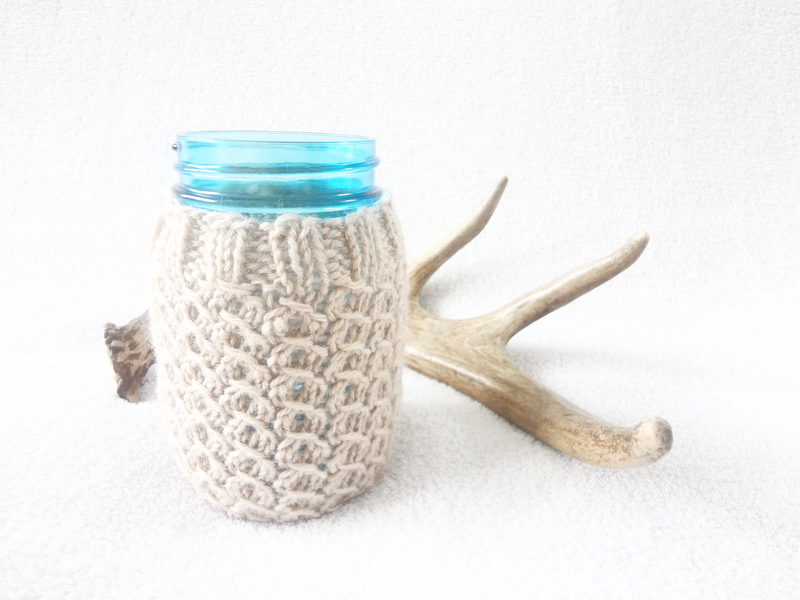 The lacy pattern allows the jar color or candlelight to show through. 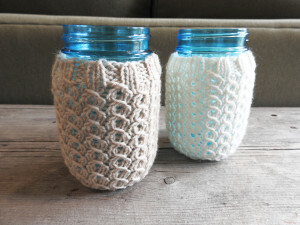 The open work pattern lets the jar show through, so if you have an antique or reproduction blue jar or a painted mason jar, you can enjoy the color of the jar itself as well. Or, if you are using the jar as a tea light holder, the gorgeous candlelight will shine out. Join round, being careful not to twist. Make K2P2 ribbing for 5 rounds. 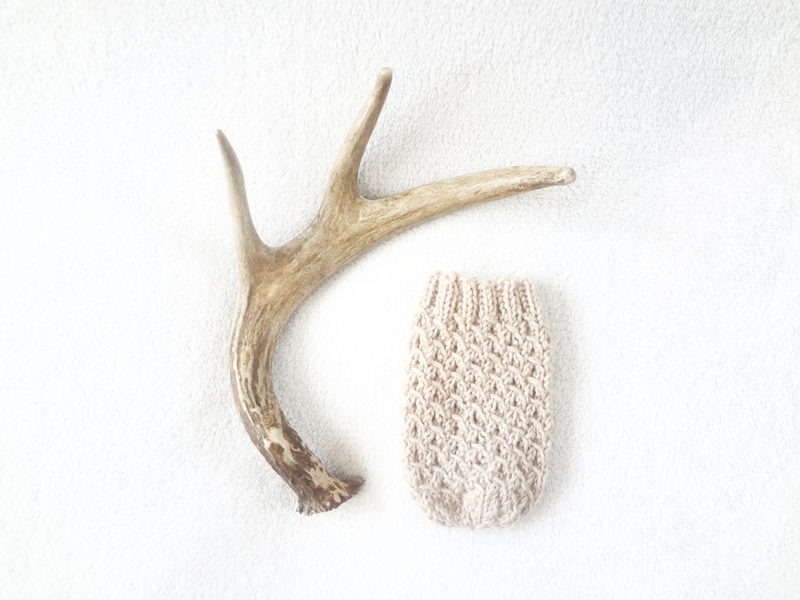 Knit all stitches for two times around. 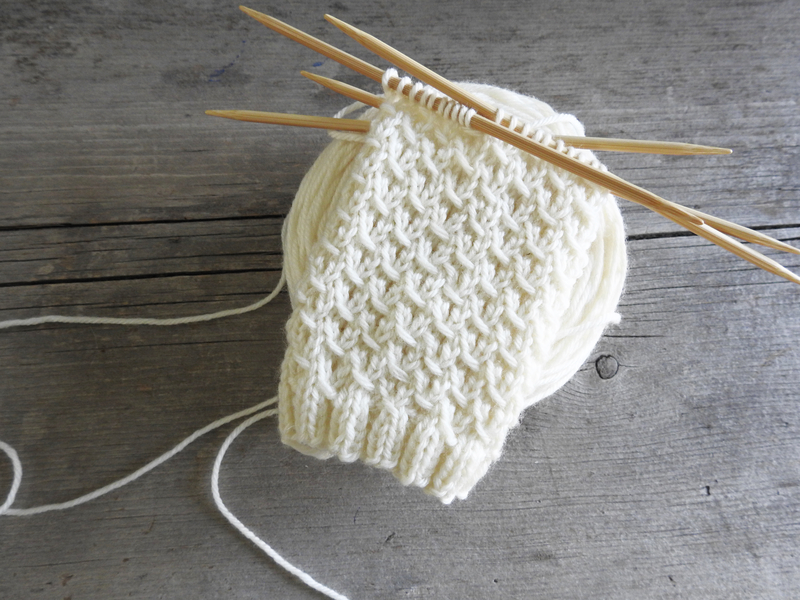 Knit 2 together all the way around until only 6 stitches remain. 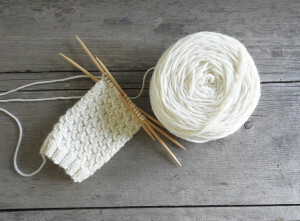 Cut yarn, leaving a tail, thread yarn through remaining stitches (removing them from needle) and pull tight. Knot and weave in ends. Copyright 2016 WormeWoole.com. Pattern is for personal use only. Please do not sell items made from this pattern. Enjoy and keep warm! 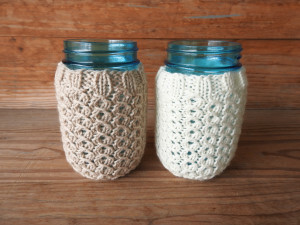 Sara, these would also be useful to keep hands warm whilst sipping on a cold iced tea in a mason jar. 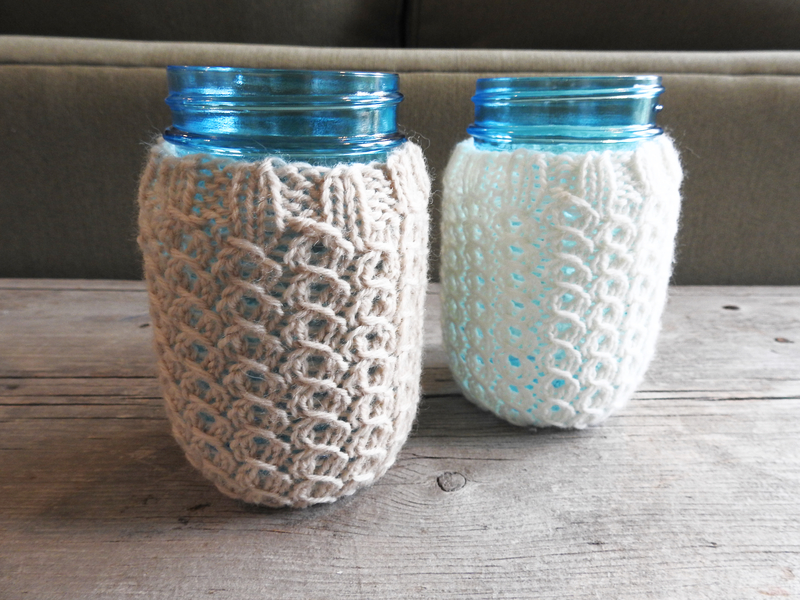 They would also keep the jar from “sweating” on your table or desk. A little P.S. 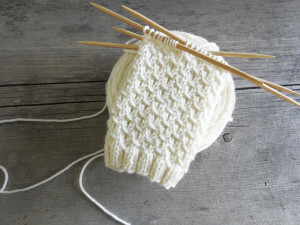 – for a long time now, when I knit a seamless, round item (mittens, baby hats, jar cozies) I use 2 circular needles rather than 4 DPN’s. (a bit easier to manage). 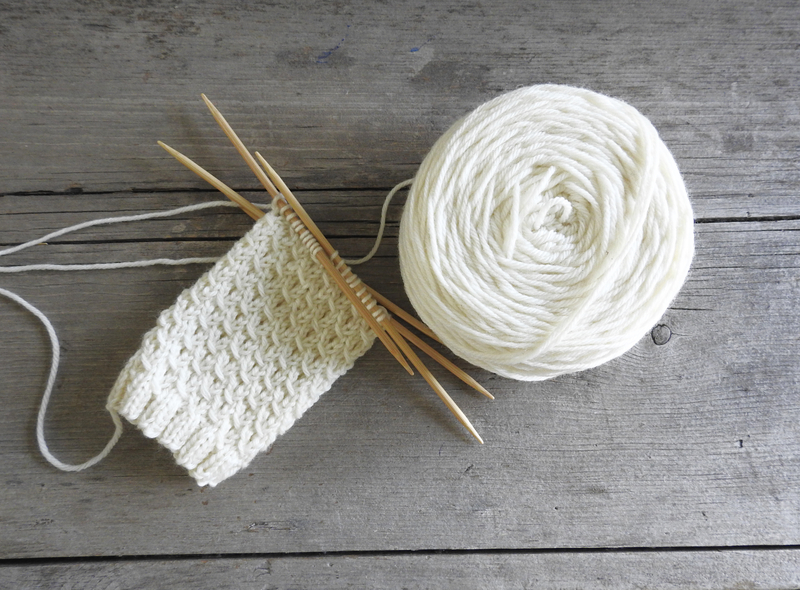 I also like to use two circulars when knitting in the round, but I haven’t tried it on this project. You’ll have to tell me how you like it if you make a cozy.